LUXURY CONDOMINIUM: Located in Hawks Glen Condominium on Fort's south side. Currently Under Construction. Monthly condo fee. 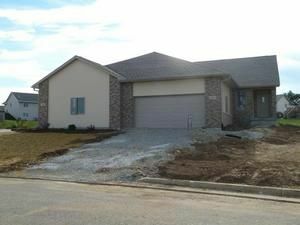 Two bedrooms, two baths, two car attached garage. Club House. Call for your showing.Fort Atkinson reassessment 2017. This payment is based on a 30-year loan at a fixed rate of 4.12 % with a down payment of $26,500. Actual lender interest rates and loan programs may vary.